Oh how I love a new cookbook! The most recent addition to my collection is Jazzy Vegetarian Classics: Vegan Twists on American Family Favorites, by Laura Theodore. 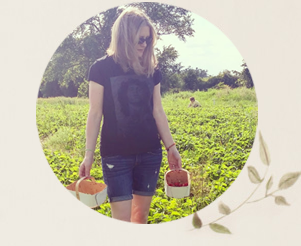 Laura puts a vegan twist on beloved family meals, with recipes such as Spaghetti and "Wheatballs," Twice-Baked Potatoes, Savory Seitan Loaf and many more. Having been raised on a traditional North American diet, I can relate to these classic foods. Sometimes you just want to slap a burger on a bun, throw some fries on the side and call it a day. 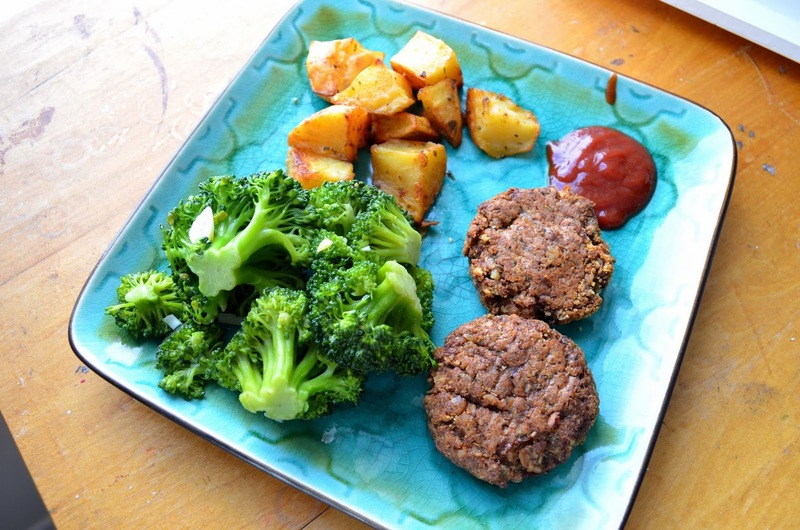 You can do that in a healthy, animal-friendly way with Laura's recipes for Mushroom-Nut Burgers and Confetti Oven Fries. The host of Jazzy Vegetarian, shown in the United States on Create TV, Laura features quick, easy and delicious vegan recipes along with suggestions for great music to serve up on the side. (She is also a jazz singer.) The book includes information on vegan kitchen basics and low-fat cooking. I particularly like Chapter 2: Menus Made Easy, which outlines menus for a morning fiesta, a winter celebration and a portable picnic, among others. Each menu is accompanied by a music recommendation. Jazzy Vegetarian Classics features healthy, uncomplicated recipes with recognizable ingredients. In other words, you can serve these vegan meals to your meat-eating friends without sending them into shock. I also made Laura's Mushroom-Nut Burgers. They are a bit more work than the soup, but not a lot. If you have bread crumbs prepared ahead of time, you can put the mix together quickly using a blender. Unlike some veggie burger recipes I have tried in the past, this mix of bread crumbs, mushrooms and nuts is easy to shape into burgers. The patties hold their shape. While Laura recommends using a cookie cutter, they were easy to shape by hand too. And they are baked, not fried. That's the official book photo, above. 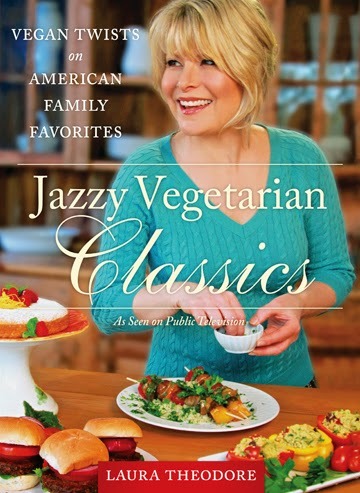 Win a copy of Jazzy Vegetarian Classics! BenBella Books is giving one Woman in Real Life reader a copy of Jazzy Vegetarian Classics. Residents of the US and Canada may enter to win using the rafflecopter widget below until February 3rd. Fit a steamer basket into a medium sauce pan with a tight-fitting lid. Add 2 inches of cold water, then add the broccoli. Cover and bring to a boil. Steam the broccoli until crisp-tender, about 7 minutes. Put the steamed broccoli, garlic, nondairy milk, tamari, all-purpose seasoning, salt, and cayenne pepper in a blender and process on low until smooth, making sure to leave air space at top of blender to allow steam to escape. 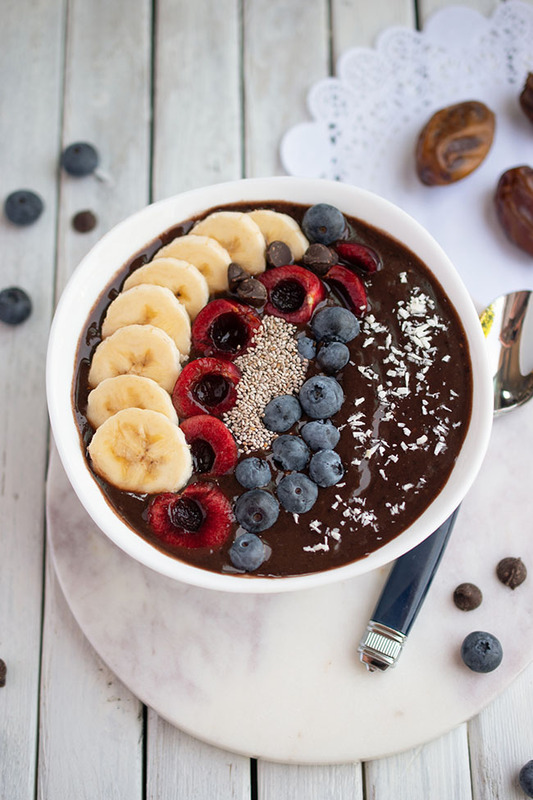 If the soup is too thick, add more nondairy milk, 2 tablespoons at a time, to achieve the desired consistency, pulsing or blending briefly after each addition. Put the soup in a medium soup pot and cook over medium-low heat, until heated through, stirring often. Season with pepper. If soup is too thick, add more nondairy milk. 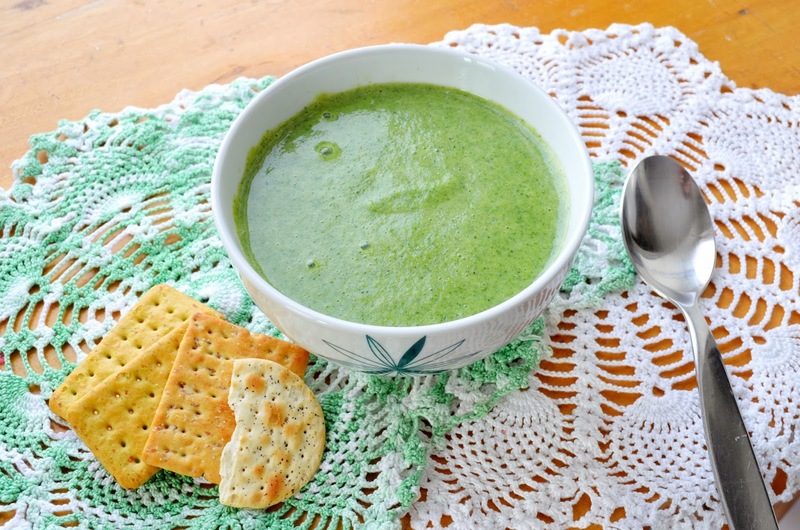 Serve immediately in deep soup bowls with whole-grain crackers or crusty bread on the side. To make fresh bread crumbs, put 3 to 4 large slices of wholegrain bread in a blender and process into coarse crumbs. Preheat the oven to 375 degrees F. Line a medium baking pan with unbleached parchment paper. Put the bread crumbs, Italian or all-purpose seasoning, chili powder, garlic powder, and salt in a large bowl. Put the walnuts in a blender and process in pulses until they resemble coarsely ground flour. Add the walnuts to the bread crumbs and stir gently to incorporate. Put the mushrooms, onion, and tamari in a blender and process to a chunky purée. Add the mushroom mixture to the walnut–bread crumb mixture and stir to incorporate. Place a 3-inch cookie cutter ring on the parchment. Pack one-quarter of the mushroom– bread crumb mixture into the ring and press it firmly and evenly into the ring to form a “burger.” Gently remove the ring. Repeat with the remaining mushroom–bread crumb mixture. Flatten each burger slightly with the back of a flat spatula. Bake for 18 minutes. Flip each burger and bake for an additional 15 to 25 minutes, or until the burgers are slightly crisp and golden. 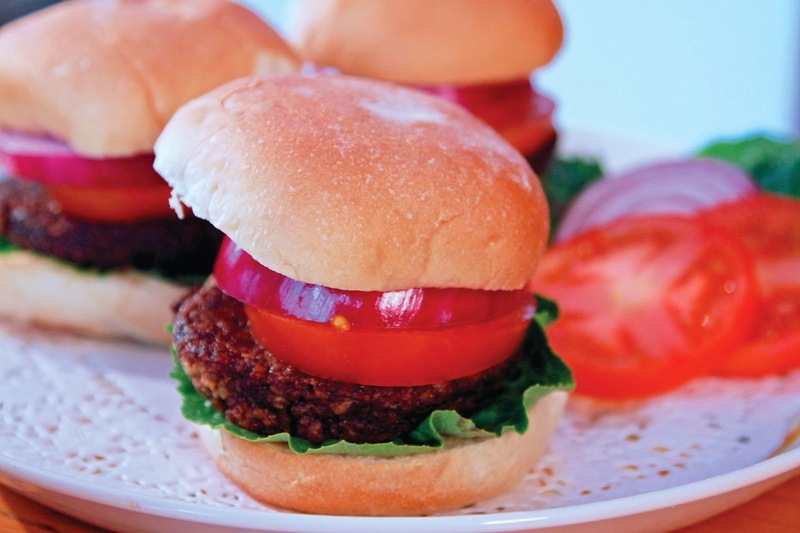 Serve on toasted whole-grain buns, topped with lettuce, tomato, sweet onion, mustard, and catsup. My favourite comfort food is a hearty veggie curry or soup. My go to is something called Monterey Beans and Cheese - kidney beans, peppers, garlic, onions, chili powder, pepper fakes, cheese, over rice or pasta. Kind of like a chili but faster and just so hearty! I have a black bean casserole that we really enjoy. African stew! Curry, sweet potatoes, kale, veggie stock, peanuts...so many yums! My favorite comfort food is soup, always vegan. Lentil, split pea, barley-mushroom & ribolita are some of my favorites. My favorite Vegan comfort food is my carnivore's husbands Vegan Mac N (not) Cheese..
My favorite vegan comfort food is The Jazzy Vegetarian's recipe for peanut noodles from the pasta episode! I make them with gluten-free corn spaghetti. Delicious! Socca: a pizza-shaped flat bread made with chickpea flour with minced onion, garlic and hot peppers. Baby potatoes topped with grated mature cheddar and sweet Thai chili sauce. vegetarian pizza with mushrooms and peppers! 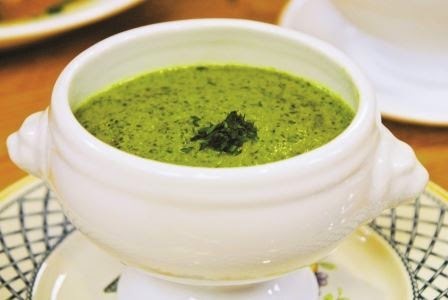 Wild Mushroom Soup - so good during the winter! I have to say roasted veggies are always like a warm hug on a cold winters day! Stuffed peppers with quinoa and veggies. Potato and onion pirogi are like home every time. Or beans and red chili with corn tortillas like my mom makes. Mmmm! Crock pot veggie black bean soup!